Private Label Paint Manufacturers | Nationwide Coatings Inc.
We have an in-house art department and custom literature & label printing program that can put your company name and brand on our exclusive paint and coating product lines. You've probably seen a lot of paint stores with their own brands. Have you ever thought of having one yourself? 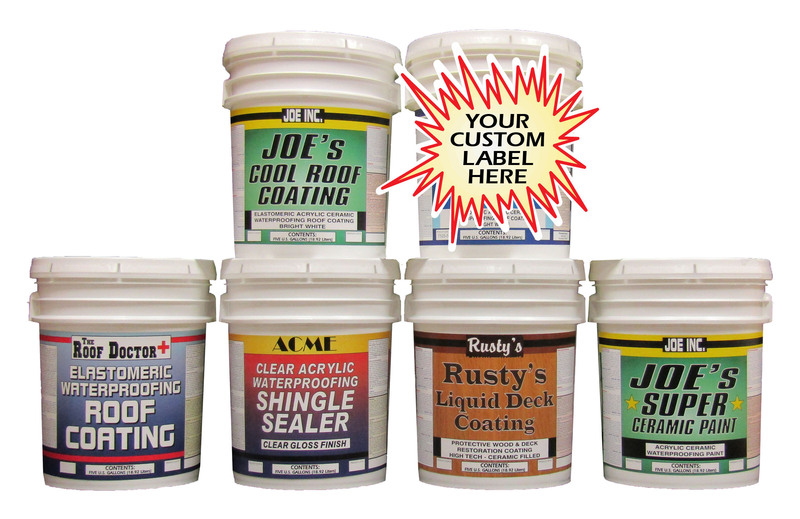 How awesome would it be if you could show up to a jobsite with our product in the bucket and your company name, logo and label on it? Plus if you leave an empty bucket behind, they'll know who to call next time and where to find your number. Custom labeling introduces customers to the idea of brand loyalty, higher margins, and an exclusive product. This will enable both Nationwide and our customers to move successfully and profitably into the future. Custom private labeling can be tailored to meet your company's specific image-branding needs. We have a very easy to use private label program. At the end of the day there is no additional cost to you. We want you to be a success and we will help you in your marketing and sales to help assure that! All liability for trade names, trademarks, product names and testing is the sole responsibility of the customer. The customer is liable for all claims made on all testing, advertising and market media unless otherwise approved in writing by the manufacturer. Nationwide Coatings is both a Private Label Paint Manufacturers and a Private Label Coating Manufacturer.